What makes a good manager? Though we can probably all point to someone we think of as a good manager, what precisely makes them so good at their job is a complex question – and one central to good business organization. 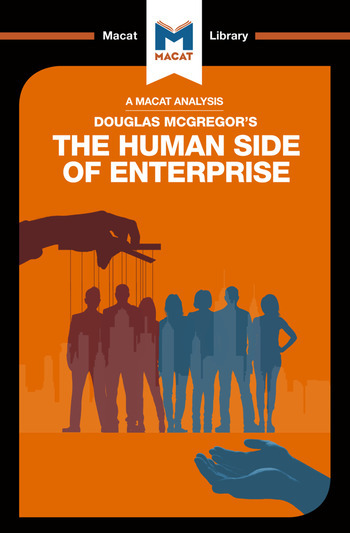 Management scholar Douglas McGregor’s seminal 1960 book The Human Side of Enterprise is perhaps the most influential attempt to answer that question, and provides an excellent example of strong evaluative and reasoning skills in action. Evaluation is all about judging the strength and weakness of positions: a critical evaluation asks how acceptable a line of reasoning is, how adequate, relevant and convincing the evidence is. McGregor sought to find out what makes a good manager by evaluating different management approaches, their assumptions about human behavior, and effects they had. In his view, management approaches could be roughly broken down into two “theories”: Theory X, which held a negative idea of employee motivations; and Theory Y, which made positive assumptions about them. In McGregor’s evaluation, Theory Y produced markedly better results in productivity and other measurable areas. On this basis, McGregor reasoned out a strong, persuasive argument for adopting Theory Y strategies on a grand scale. Dr Stoyan Stoyanov holds a PhD in management from the University of Edinburgh. He is currently a lecturer at the Hunter Centre for Entrepreneurship at the University of Strathclyde, Glasgow. Monique Diderich is a consultant at the National Foreign Language Center at the University of Maryland.